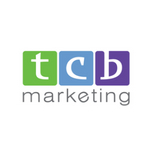 TCB Marketing is an award-winning, full-service marketing firm based in Montgomery Township, Pennsylvania–a suburb situated just 25 miles north of Philadelphia. Our mission is to exceed our clients’ expectations by providing smart marketing solutions in a timely and cost-effective manner. Our team offers best-in-class service in the areas of strategic planning, marketing communications, new business development, brand and identity development, content and social media marketing, traditional advertising services, and public relations. Year after year, our clients return to us because we provide great value for their marketing investment.